Everyone knows that the Price Is Right is the king of game shows. (Jeopardy is the only other that can hold a candle to it.) And Plinko is the king of the Price Is Right games. The adrenaline rush when you hear your name followed by “COME ON DOWN!” has to be an indescribable feeling. To then win is even more amazing. And to then be gifted with the rare opportunity to play Plinko, of all games, is as serendipitous as it gets. The stars have to align, the lightning strikes twice, everything has to be perfect. It’s a unicorn sequence of events. You needed to be in the right seat to get called. You needed the right set of contestants to bid against. One variation and you’re in the audience sitting on your thumb. 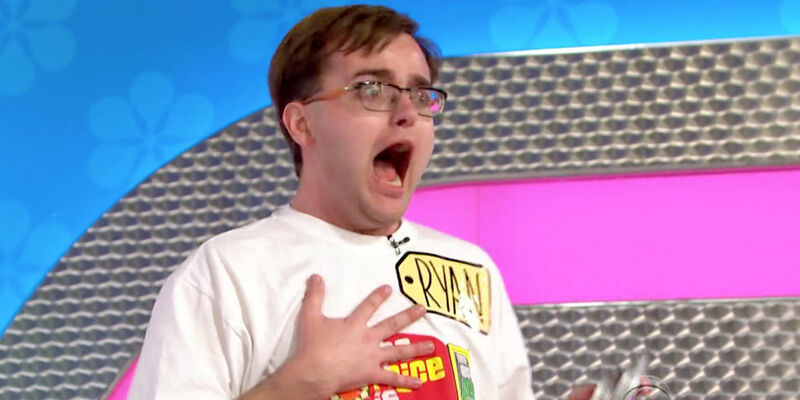 It’s a dream to be on the Price Is Right, and it’s a motherfucking pipe dream to play Plinko. Enter: Ryan. Some might say he was over the top or that he embellished in the spotlight. That may be true. But is that such a bad thing? I think it’s totally fine because you cannot plan or prepare for something like that. Start to finish this was raw, authentic, unscripted, unrehearsed emotion oozing through the television. Every action was warranted 100% because all bets are off when George Gray yells “You’re gonna playyyyy PLINKO!” The appetizer was the coveted, boisterous “one dollar” bid followed by the lap around the audience. It got better and better, and I loved every second of it. The best part, obviously, is when the crowd chants RYAN! RYAN! and he himself joins in. What a moment. And $31.5K to boot, a Plinko record. Amazing. Word on the street is that this dude scheduled all of his college classes accordingly so that he was free to tune into PIR every single day at 11am. That’s some dedication right there. Well deserved.